We have been covering the homeless encampment of people living under the Jones Falls Expressway near Madison and Fallsway right by the prison complex for the last several weeks. 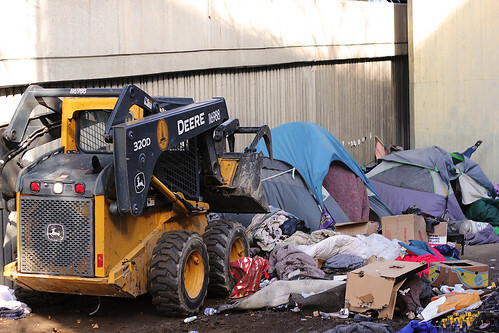 The city said they were going dismantle the site today, Friday March 8th, but before they could a regular citizen found the residents living there housing – temporary, good housing – that the City could not find them. What was left of their encampment the City bulldozed today. They were met by advocates and the homeless to bear witness and to make sure their belongings were not destroyed. Producers Stefanie Mavronis and Mark Gunnery were there to tape, shoot, and tell their stories. We will be covering more of what happened this morning on our show Monday and in the coming weeks to hear what has happened to these people, what the City is doing to find housing for the homeless and affordable housing for the 40,000 low income people who are housing insecure, and find out why the 10 Year Plan to End Homelessness was changed. 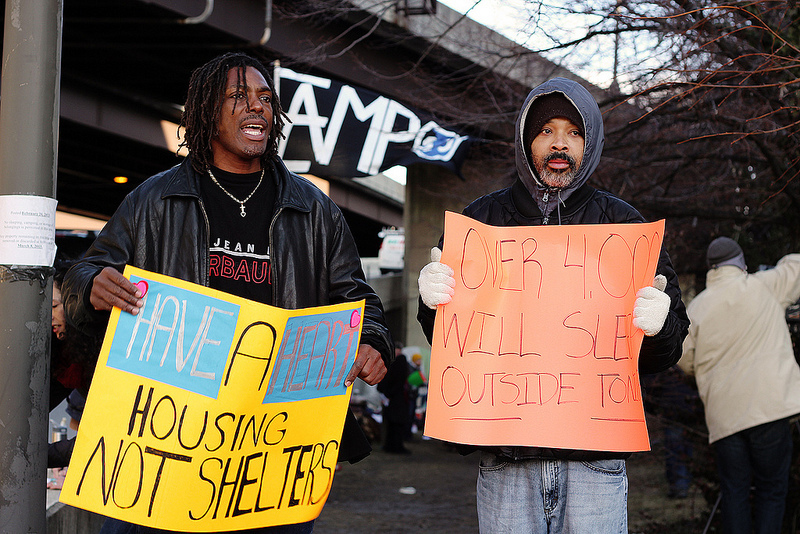 But now, the story of today’s dismantling of Camp 83 in the words of advocates and the homeless. Tune in Monday for more of our coverage. To see all of our pictures from this morning’s clearing of Camp 83 and pictures from when we visited the campers last week, take a look at our Flickr feed.